Today’s utility enterprise is faced with the rising demand for real-time integration and process automation, driven by smart grid technology transformations. Back-office, front-office, operational and engineering systems all need to share processes and data with each other. Systems integration is critical for business success. The rapid growth of data within the utility industry has left many utility organizations to solve the problem of system integration and data usage for business intelligence and analytics. As utilities invest in smart grid technologies and upgrade their business applications portfolios, the number of disparate applications and repositories continues to grow. This new landscape puts tremendous pressure on IT to provide a scalable and sustainable enterprise integration infrastructure to ensure the long-term success of these investments. 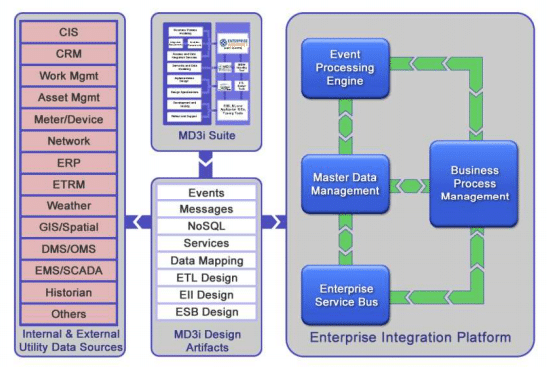 Integration technologies and service-oriented architecture (SOA) have matured to support the technical interoperability challenges of systems integration, but seamless communication and information exchange between business applications requires both technical and semantic interoperability. 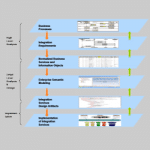 How can utilities address their semantic interoperability challenges as well? To help utilities achieve both technical and semantic interoperability, Xtensible has developed its Utility Enterprise Integration Solution. 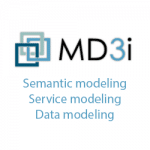 Xtensible’s MD3i Framework is an Enterprise Semantic Information Modeling methodology combined with a set of best practices for the utility industry. With the integrated toolset, a utility can create and deploy a consistent layer of data and services across the enterprise using standards such as the IEC CIM.